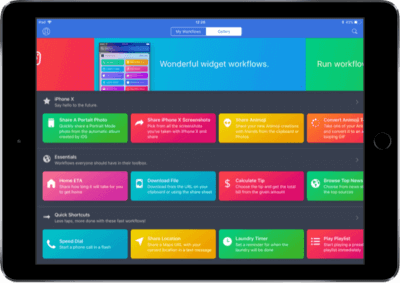 The marquee addition of this release is full support for drag and drop in iOS 11, which is especially impressive on the iPad as it allows you to trigger actions based on content you drop into a workflow. In the original Workflow, if you wanted to feed external content (text, images, links, videos, etc.) to actions, you had to manually select an item from a native picker, use the iOS clipboard, or use Workflow's action extension in other apps. The system worked well, but it was neither fast nor intuitive.